If you're not a fan of jazz music, then it's doubtful you'll get much out of this score. But if you are a follower of the genre, then there's much to appreciate here. 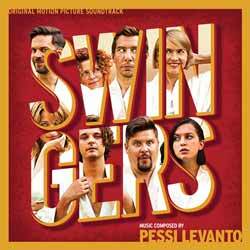 Talking about the score, composer Pessi Levanto, said: "Given the topic of the film, I felt that it was an obvious choice for the music to be swing. Since my education and background is in jazz music, I felt comfortable to use this style. I played the piano myself and gathered some of the best jazz musicians in the country for the sessions. Maybe the music is more hard bop in the end than strictly swing stylistically, but I believe the groovy overall sound serves the film quite well. There are some more serious parts in the film but me and the director didn’t want to show the characters any mercy by using music which would make the viewer sympathize with them. Thus there are some rather dark moments but we deliberately went against the picture and use groovy jazz on top of these to mock the characters and make fun of them even more." The album contains 18 tracks (38 min, 34 sec) and I found it to be an infectious, toe-tappingly enjoyable collection. There are four solo piano 'Interlude' pieces (4 min, 04 sec) which break up the jazz band flow, making for an interesting, laid back feel. Fans of the movie, and jazz in general, will get a huge amount of satisfaction from this feel good album.